There’s No Substitute for Good Chocolate. Or Is There? Hellooo, lovah. Order yours here. I love chocolate. I mean, who doesn’t love chocolate? Show yourselves, freaks! Of course, Buenos Aires is most well-known for dulce de leche, which is also highly lovable. But when it comes to chocolate, there’s just no substitution. So this can present a problem. One of the challenges I’ve run into here is the lack of high-quality chocolate. Unsweetened baking chocolate is not the sort of thing you can find at the corner supermercado. 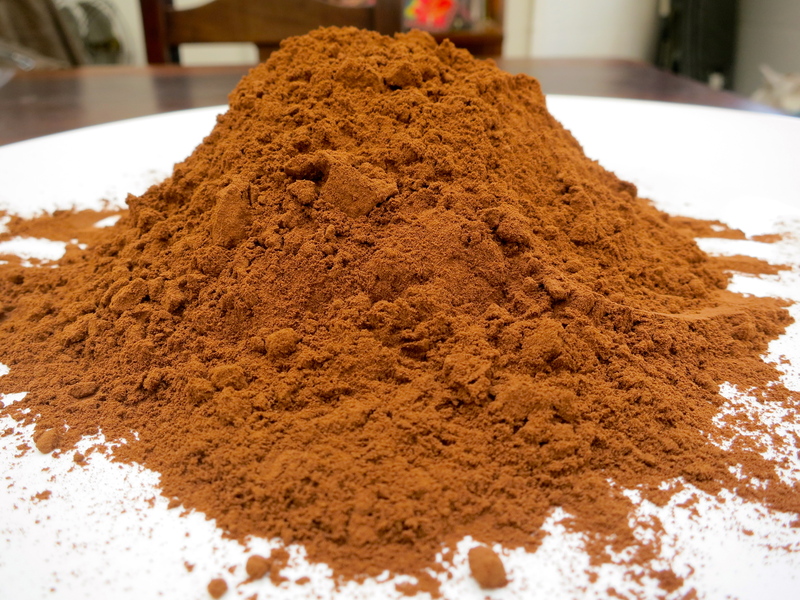 Cocoa powder can be found at some dieteticas and in Barrio Chino, but I quickly realized the cocoa-to-cornstarch ratio in those packages was highly suspect. A flourless chocolate cake that only mildly tastes of chocolate? Completely unacceptable! I tapped into the ex-pat foodie network for suggestions (thanks again, ladies!) and definitely plan to check out Fénix products soon, as well as casa de repostería Doña Clara based on this rave review from Kelly Volman. Though if I were basing my judgement solely on the cultural sensitivity of Doña Clara’s website, I may have put off that trip. I mean….? Of course, there’s also the option of stocking up on quality chocolate when we visit the States, or enlisting incoming visitors to flaunt customs regulations and smuggle in some of the good stuff. Yes, I will do that. And no, I have no shame. But I really wanted to find a way to work within the confines of what’s readily available. So I’ve been experimenting. But when your cocoa powder tastes more like flour than chocolate, this isn’t gonna fly. Instead, I’ve found that with a little mathematical MacGyvering, substituting bittersweet chocolate for unsweetened yields the best, most chocolatey results. This substitution requires WAY more math than I’m typically willing to attempt, but a girl’s gotta do what a girl’s gotta do. Essentially, you need to figure out how much additional bittersweet chocolate you need to add to the recipe to arrive at 100% chocolate, and then reduce the amount of sugar that’s added to the recipe accordingly. Confused yet? Yeah, me too. Multiply the amount of unsweetened chocolate by two to determine how much bittersweet chocolate to use. (Ex: If recipe calls for 6 ounces unsweetened chocolate, 6 x 2 = 12 ounces of bittersweet chocolate). 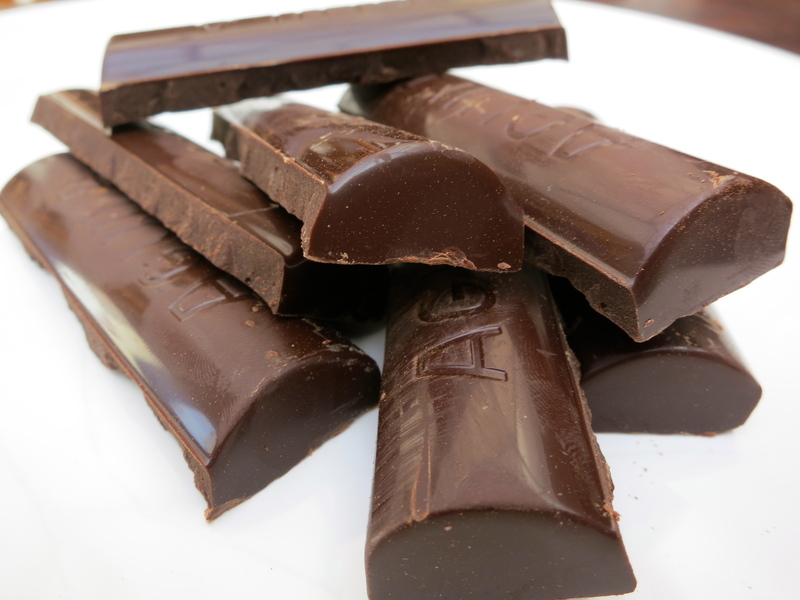 Reduce the amount of sugar added to the recipe by 1 Tablespoon per ounce of bittersweet chocolate. (Ex: For 12 ounces of bittersweet chocolate, reduce the sugar added by 12 Tablespoons, or 3/4 cup). This is by no means scientific. Some may also recommend you adjust the amount of fat (butter, oil or shortening) you use in the recipe. But I’m already biting off more math than I can chew with the above method, especially considering the chocolate here is sold in grams instead of ounces so that requires more conversion magic. 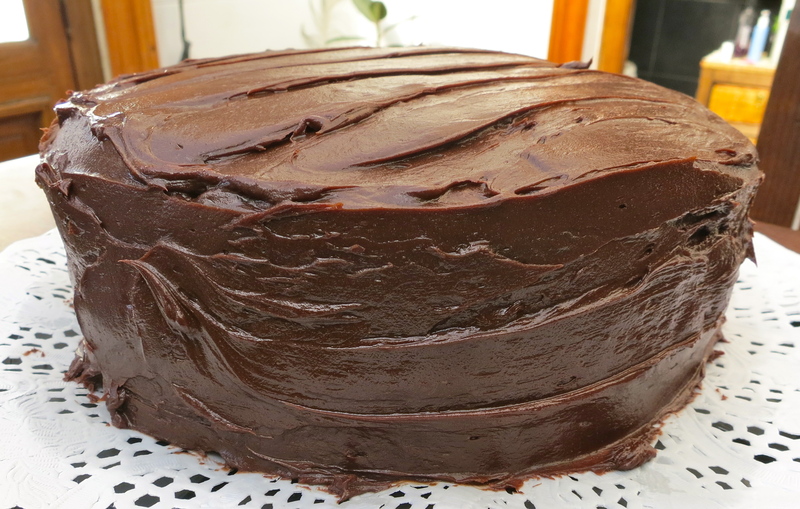 This version’s never failed me for cakes, brownies or frosting…so I’ll leave the perfectionism to the math nerds. Uuff….too early in the morning for math equations! You should definitely try Fénix, it’s the stuff we use at pastry school and is the best for baking. 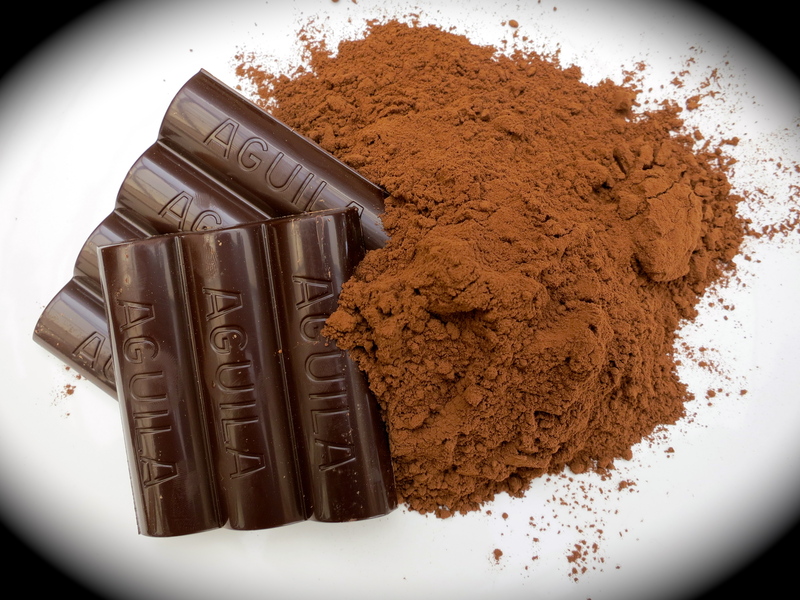 Aguila, which you find everywhere, is chocolate de taza, you want to stay away from that as well as chocolate de cobertura if you’re baking a chocolate cake. Good luck, btw your cake frosting looks delicioooousss! Thanks lady! Really appreciate all the recommendations. Hello! (nuevamente!) estaba mirando tu blog, cosa que me encantó y llegue aquí, al tema chocolate! . Te cuento, soy de Bs As, soy pastry chef, especializándome en decoración de tortas. Y lamento informarte que el único proveedor grastronomico/repostero es Doña Clara. Allí compramos tooodos! (incluso los grandes hoteles y escuelas de gastronomía hacen sus pedidos a Doña Clara). Allí vas a conseguir además del chocolate Fenix, Codeland y más económico la marca Colonial. Sino otra opción es comprar directamente a la fabrica, pero puede ser mas caro. Iré el fin de que viene, suena como el cielo! Me alegro que disfrutes el blog. 🙂 Gracias!